How are those New Year’s resolutions holding-up? If your resolutions haven’t stuck you’re not alone. Research suggests that only 8% of New Year’s resolutions are kept each year. So why is it so hard to keep a commitment, especially when it is one you make to yourself? According to Ray Williams, author of Breaking Bad Habits, and writer of the Psychology Today article, Why New Year’s Resolutions Fail (12/27/10), most resolutions we make are to motivate ourselves, “. . . but people are not ready to change their habits, particularly bad habits, and that accounts for the high failure rate.” Many also develop what researchers call the “false hope syndrome”-our resolutions are so unrealistic that we can’t meet them and it damages our self-esteem. So how do we keep our resolutions? First we have to understand how our brains work. 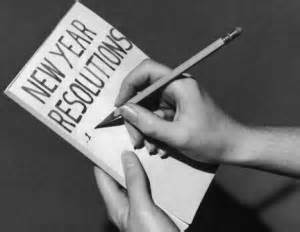 Williams lists the following ways to make your resolutions more obtainable. Focus on one resolution, rather than several. Set realistic, specific goals. Losing weight is not a specific goal. Losing 10 pounds in 90 days would be. Deciding to organize the whole house is not a specific goal. Deciding to organize one room in your home within 60 days would be. Don’t wait until New Year’s Eve to make resolutions. Make it a year-long process, every day. Take small steps. Many people quit because the goal is too big and requires too many steps. Have an accountability buddy, someone close to you that you have to report to. Celebrate your success between milestones. Don’t wait for the goal to be completed. Focus on the present. What’s the one thing you can do today, right now, to work towards your goal? Be mindful. Become physically, emotionally, and mentally aware of your inner state as each external event happens, moment by moment, rather than living in the past or future. And finally, don’t take yourself so seriously. Have fun and laugh at yourself when you slip, but don’t let the slip hold you back from working at your goal.